What trends are likely to continue into the new year and how can we hone in on this and use it to reach our business goals? This requires a little bit of art, as we need to separate “short term blips on the radar screen” (consumer fads) from actual trends. Fads tend to focus on items like body styling and colors, which change yearly, or features that are useful for only a small group of buyers (think flying and amphibious cars). Actual trends involve the wishes and desires of a large percentage of our customers and might begin slowly, but continue to expand and evolve over time. The retail experience is a prime example. Whether you are in the automotive, powersports, clothing, cell phone or the xyz industry, the one constant is a desire to please our customers in new and exciting ways. If the last few years of consumer buying habits has taught us anything, speed tops the consumer wish list. Rapid payments at retail locations (i.e. Apple and Samsung Pay) speed buyers on their way without fumbling with cash or credit cards. And for those of us that now feel that Next Day delivery is way too slow, drones will soon be delivering our purchases in 30 minutes or less. The desire for faster transactions is clearly a trend that will accelerate and is not merely a fad. So, now that we have our goal; greater sales velocity, let’s look at a real world, daily occurrence. For car buyers, the average time spent at the dealership buying a car takes 3-4 hours, and this is after the typical buyer has spent 15 hours researching and shopping online. This exceeds the 17 hours that Toyota states it takes to completely manufacture and inspect a new vehicle! This does not compare well with 30 minute drone deliveries. So, increasing transaction speed can generate more revenue, even if the transaction value is decreased. It also makes the buying process more convenient for the consumer, which can lead to more positive comments and referrals to your dealerships. A faster experience can also preempt the dreaded, “let me think about it” comment that is often a result of a complicated and burdensome sales process. This principle of increased sales velocity applies to all retail transactions whether new vehicle, used vehicle, parts and accessories or repairs. 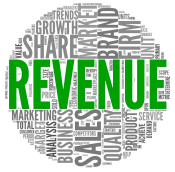 Velocity is the key to greater revenue in all cases. What’s next? Your first question should now be how could I decrease the purchase time for my customers? Going back to the retail experience may give you some answers. Retail techniques like 1 Click Buying, self-checkouts, loyalty discounts, and faster payment options are all possible due to retailers relying heavily on integrated data solutions to increase the sales velocity. Why not begin by looking at the quality of your brand’s retail integration processes? Modern retailers live and die by how tightly their retail integrations work together. With dealer integrations quickly moving from a “nice to have” to a “must have” and new technologies making the integration task easier than ever, this could be a great place to focus your 2016 thoughts. Who knows, you might even have a few less sleepless nights.